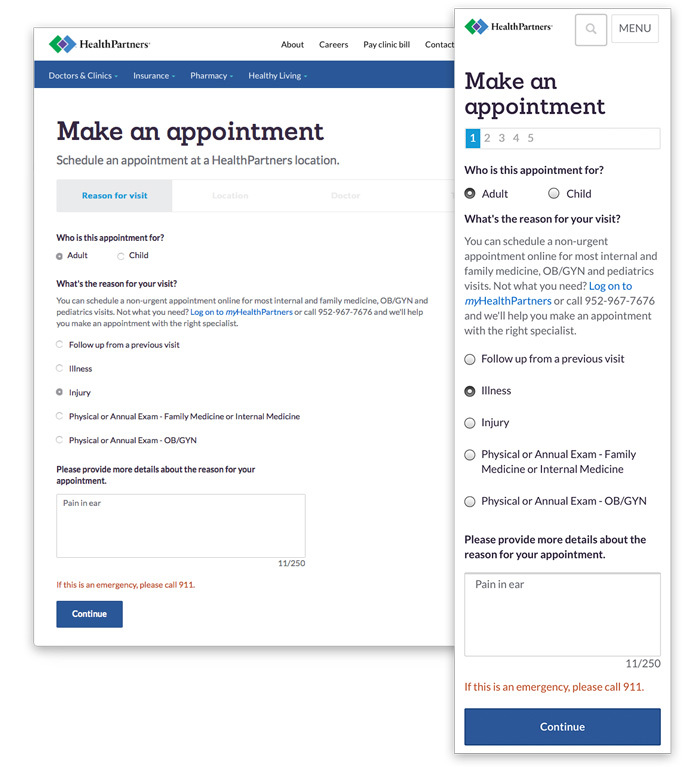 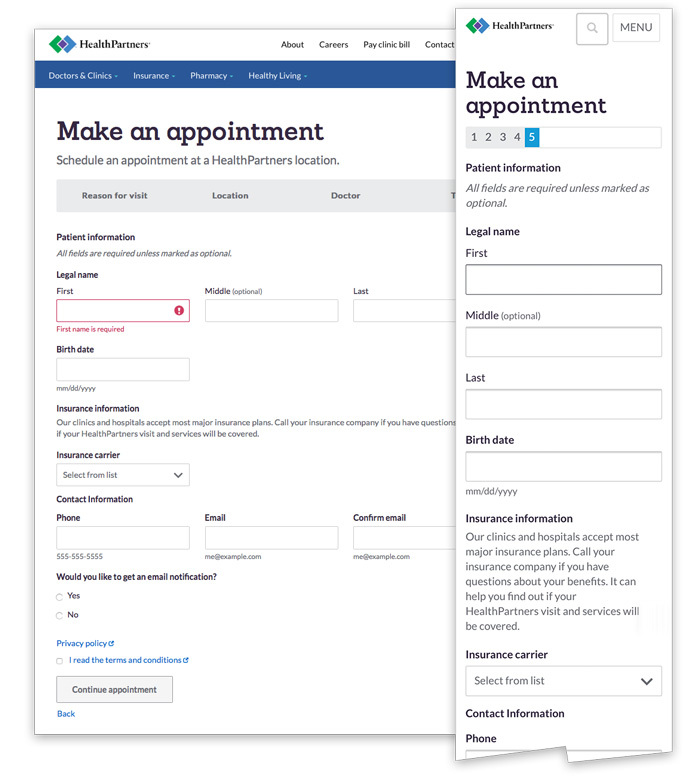 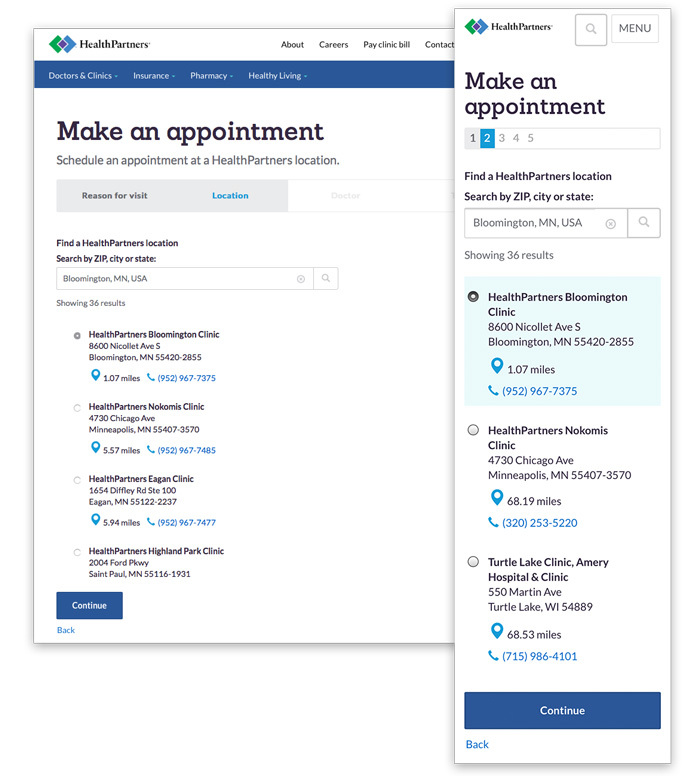 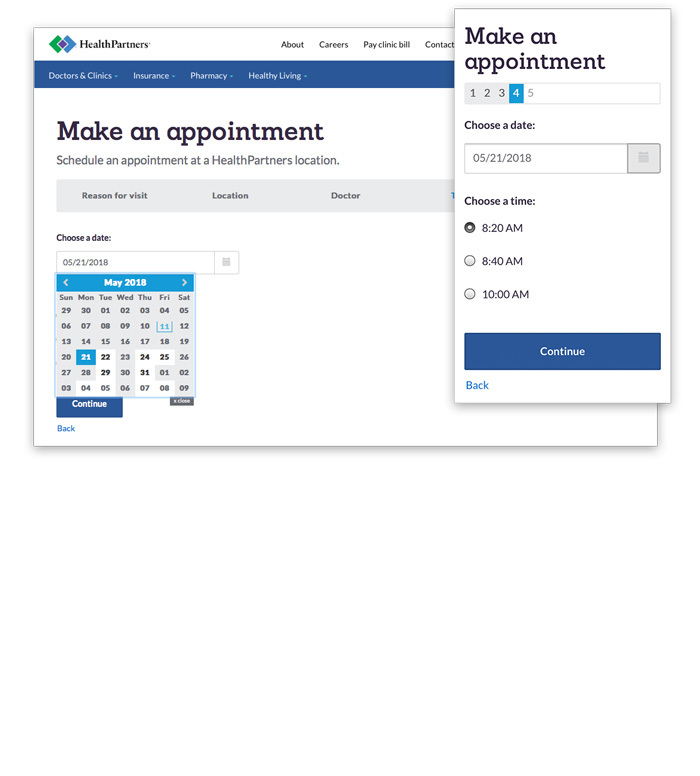 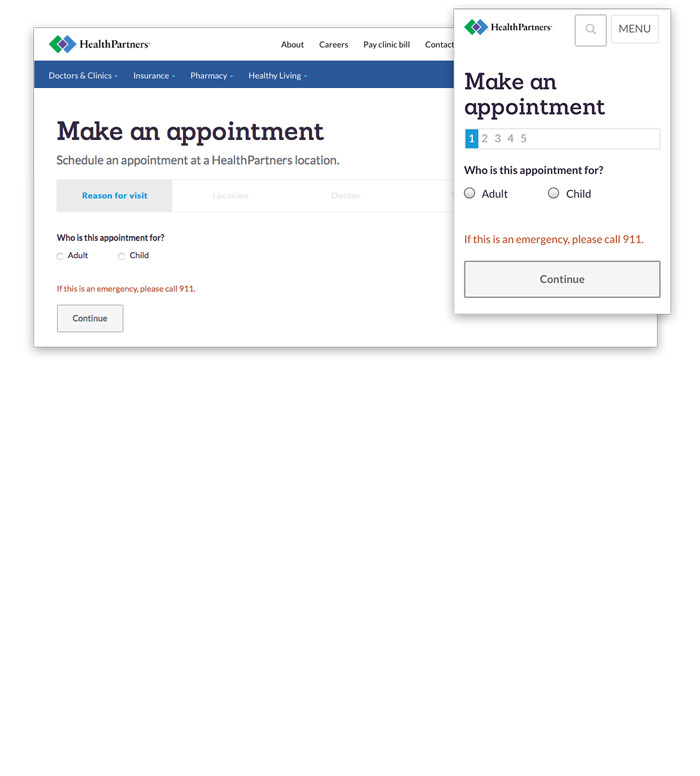 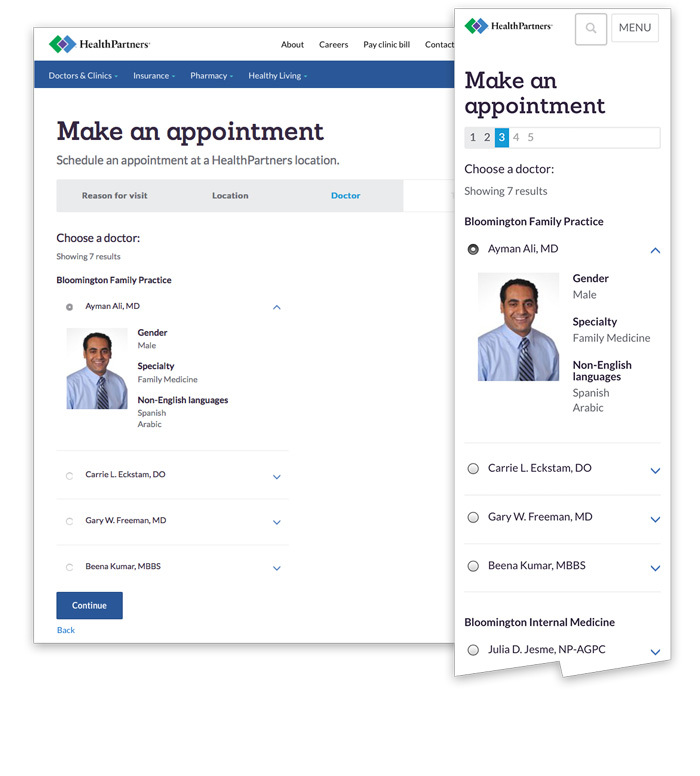 Developed mobile-first approach for user experience to enable simple online appointment scheduling. 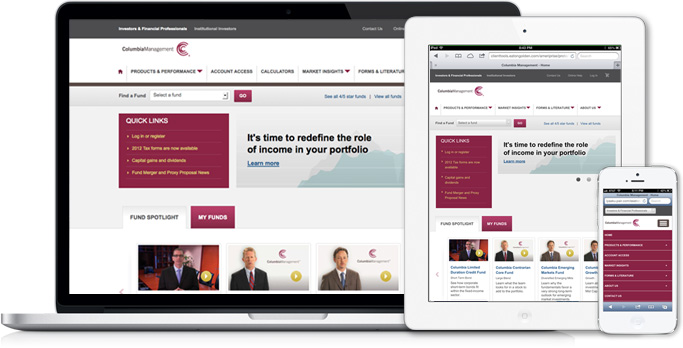 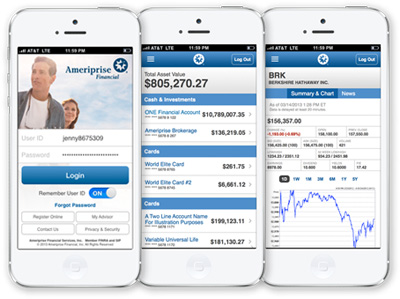 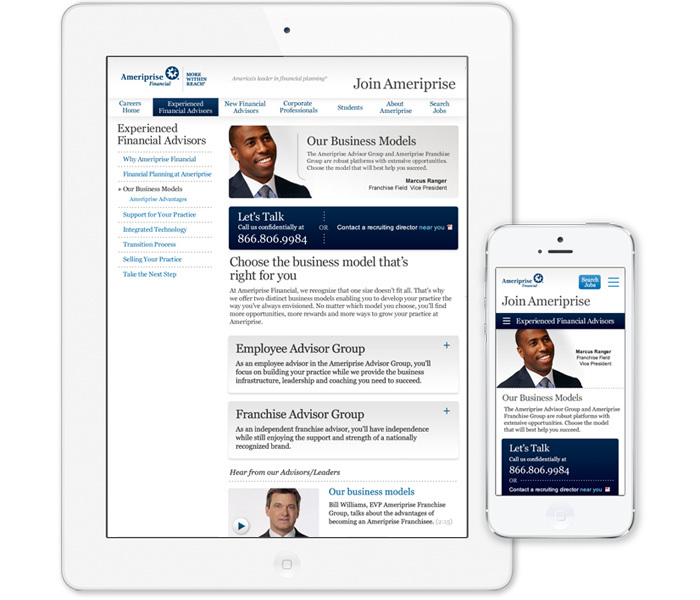 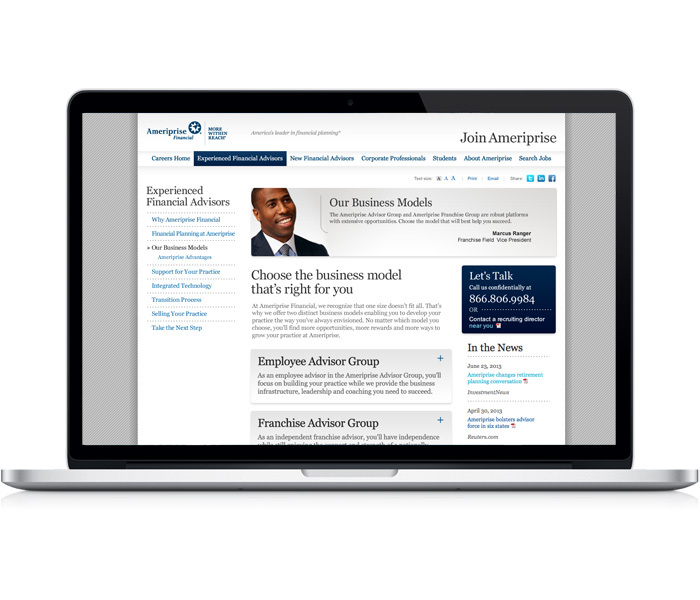 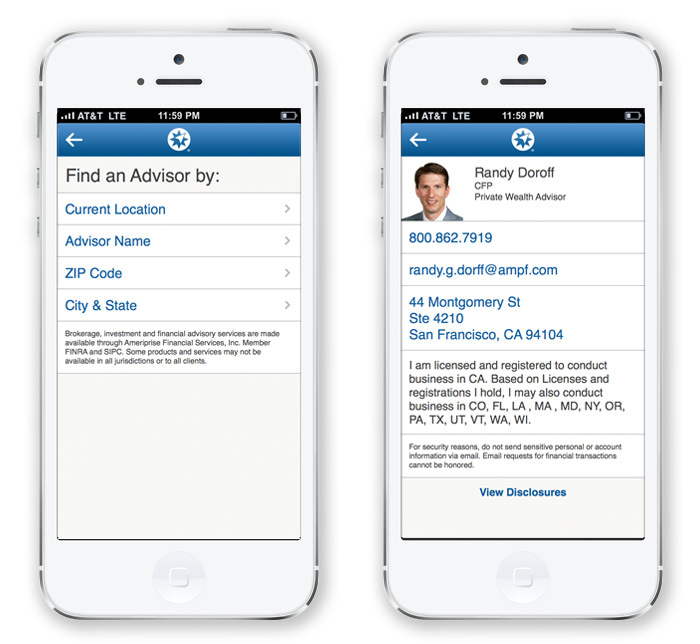 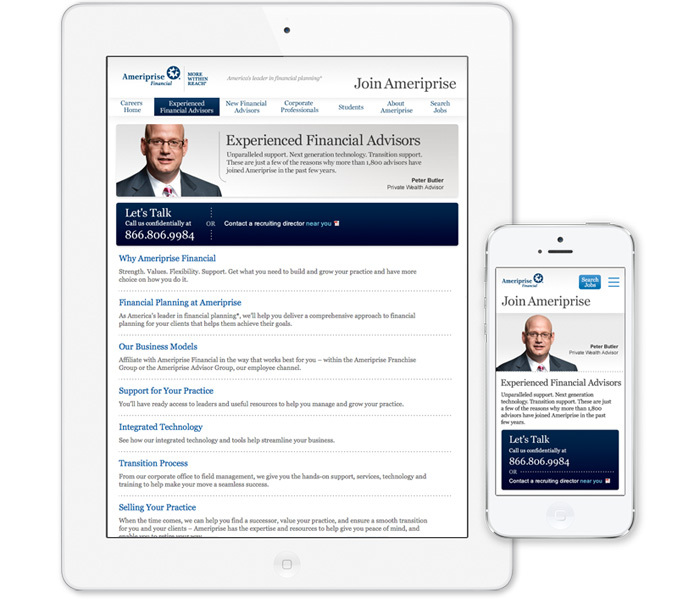 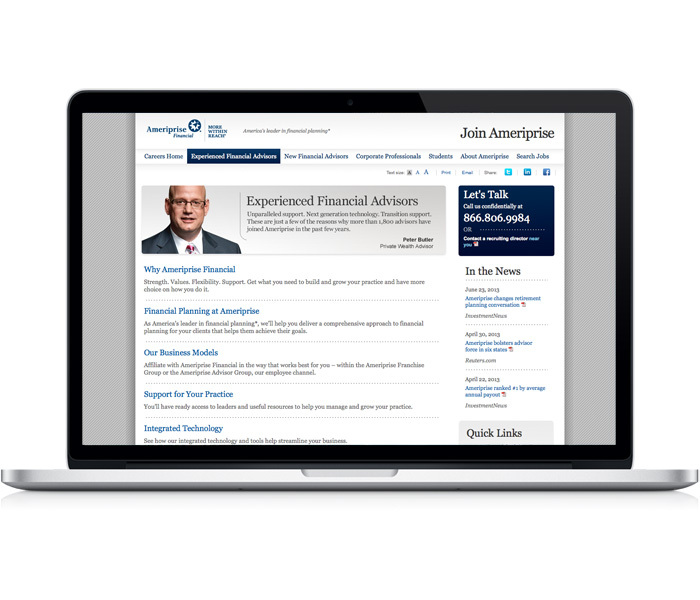 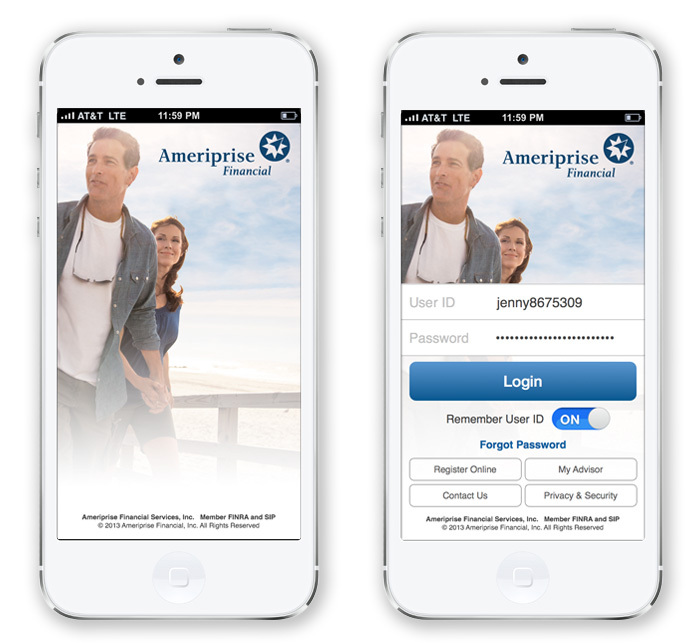 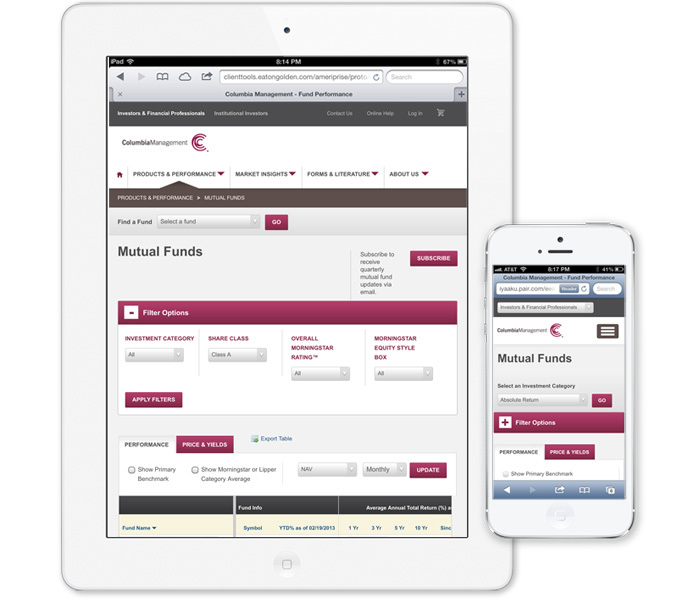 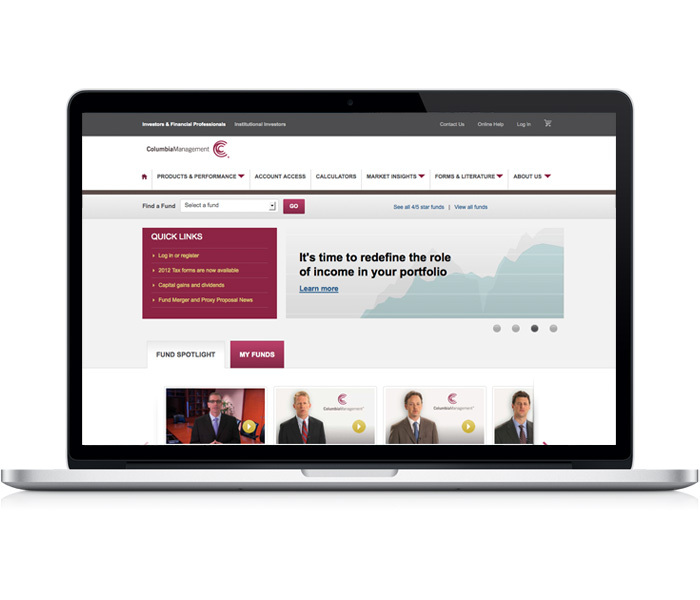 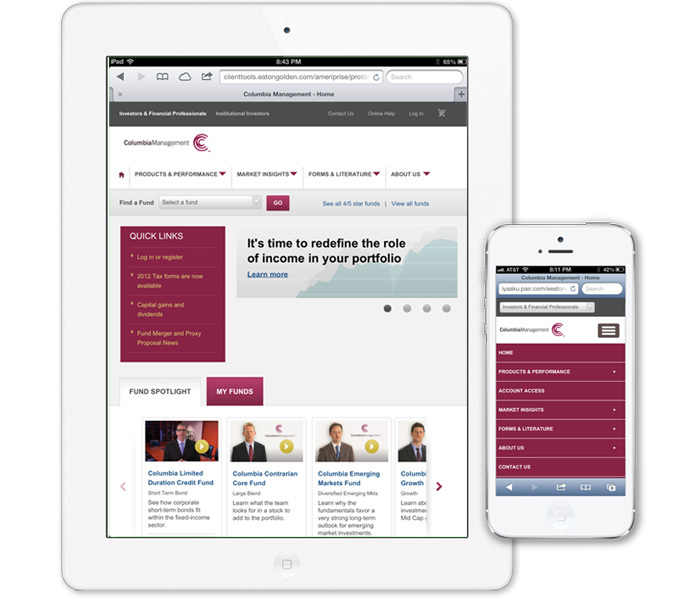 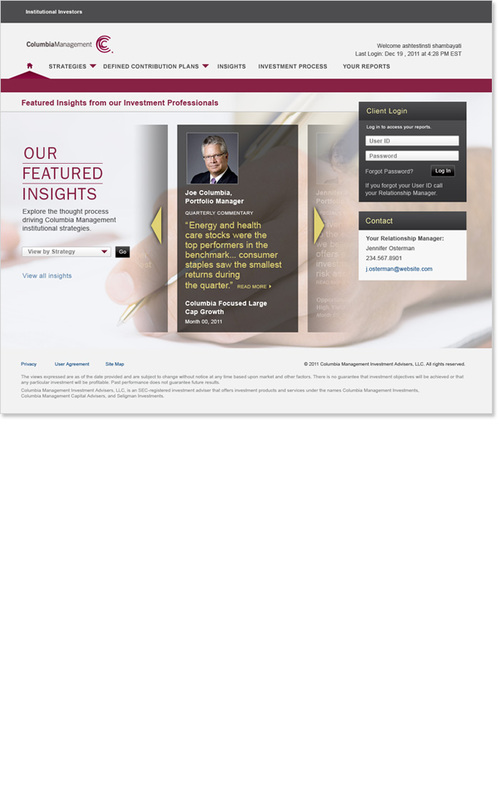 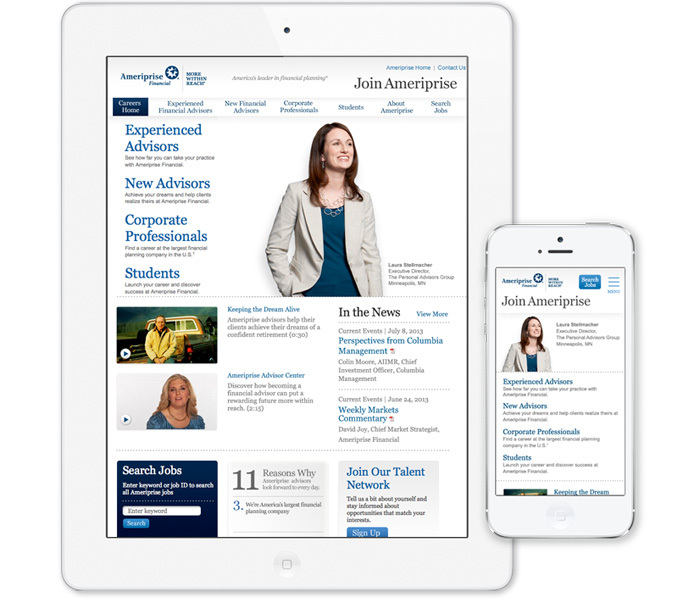 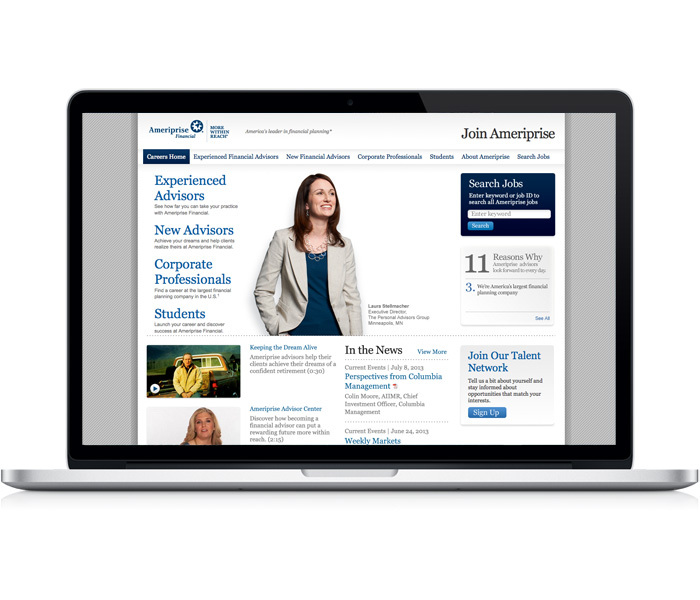 Collaborated with information architect to implement responsive design on the Ameriprise career site as a proving ground for other Ameriprise mobile platform implementations. 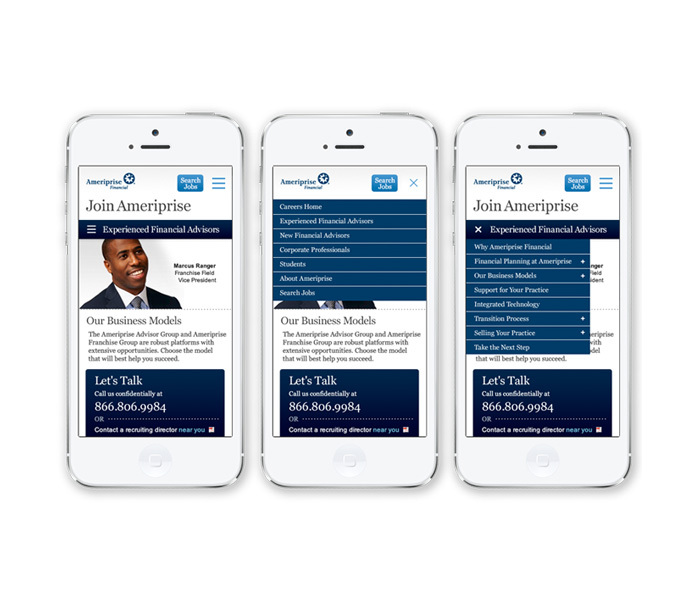 Collaborated with vendor using Agile methodologies to create a replatformed app with a new design. 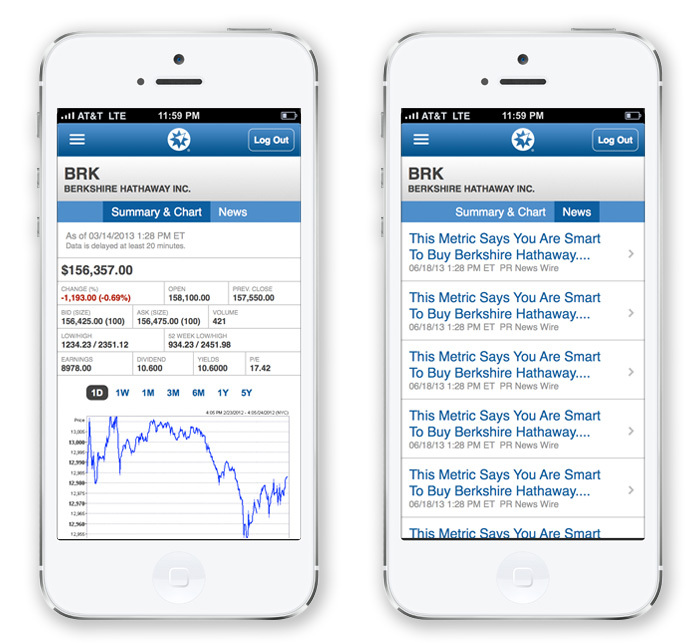 It was optimized for the iPhone, based on audience metrics. 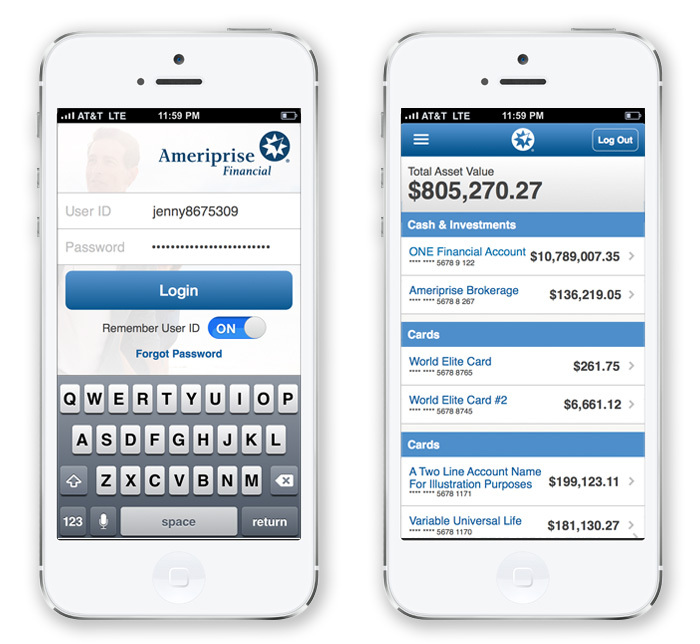 A hybrid Android app was also developed. 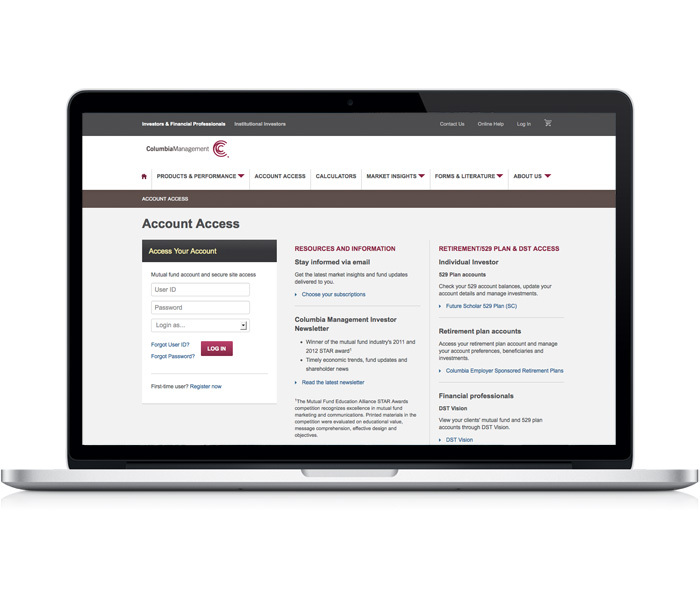 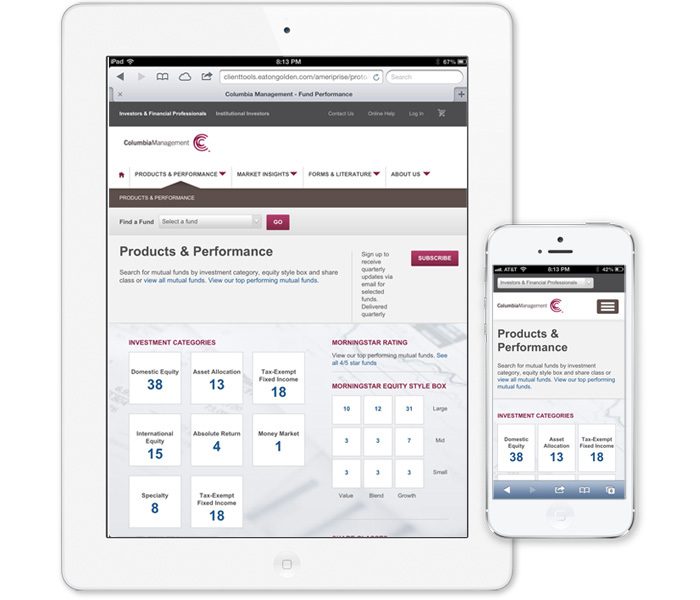 Collaborated with a vendor to update the design and make the site responsive, enabling users to have access to the same content and functionality in the desktop and mobile experience, despite the complexity of the information. 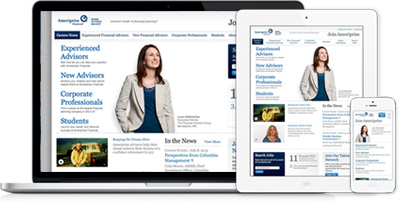 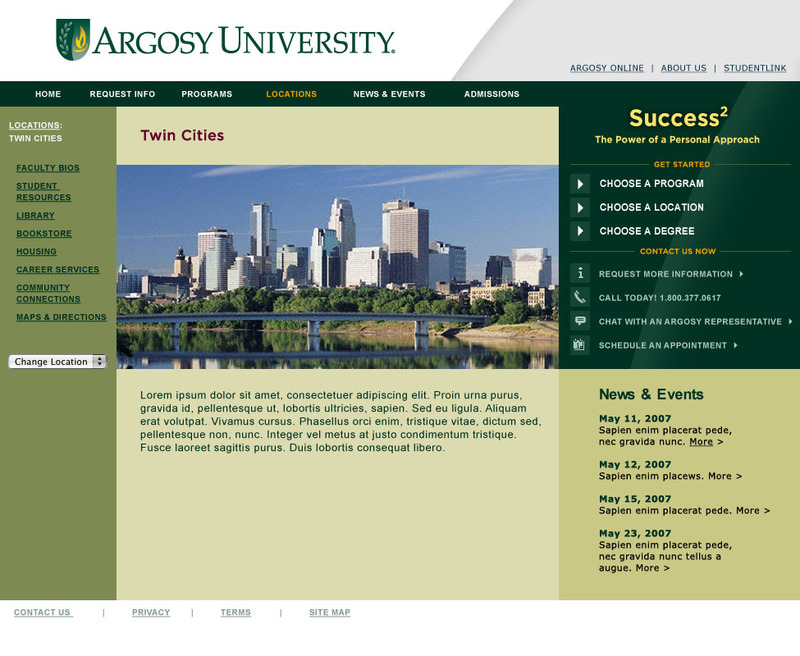 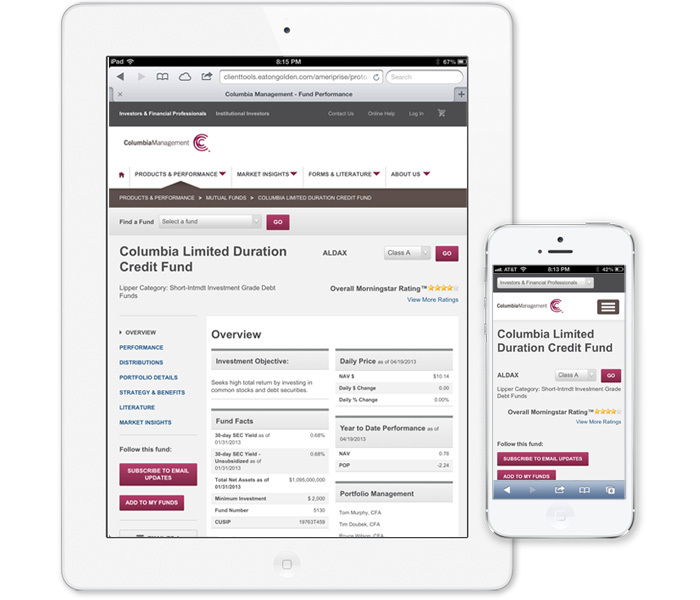 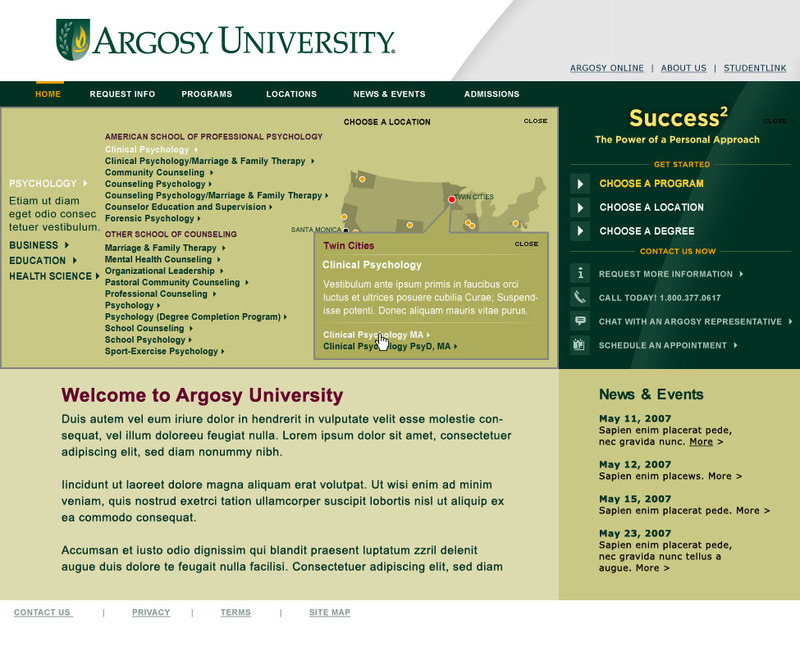 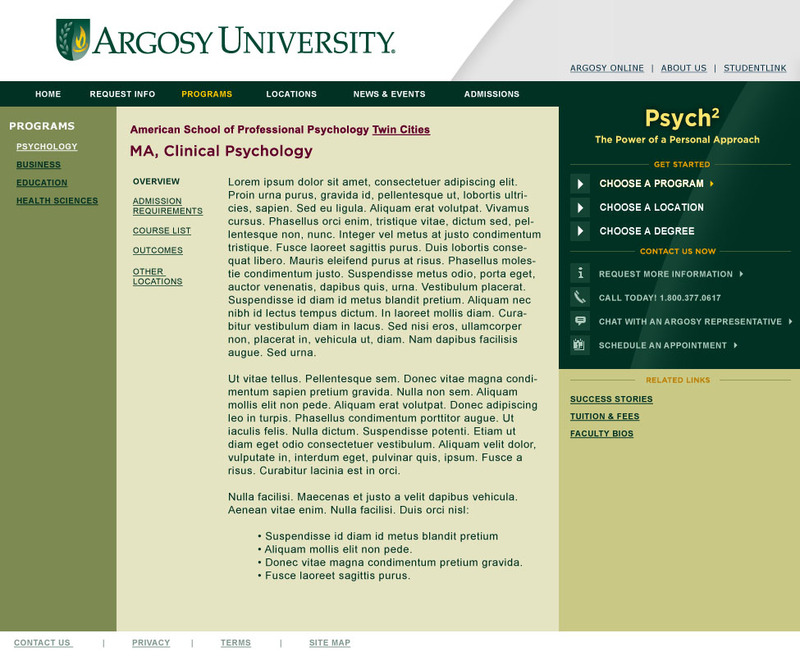 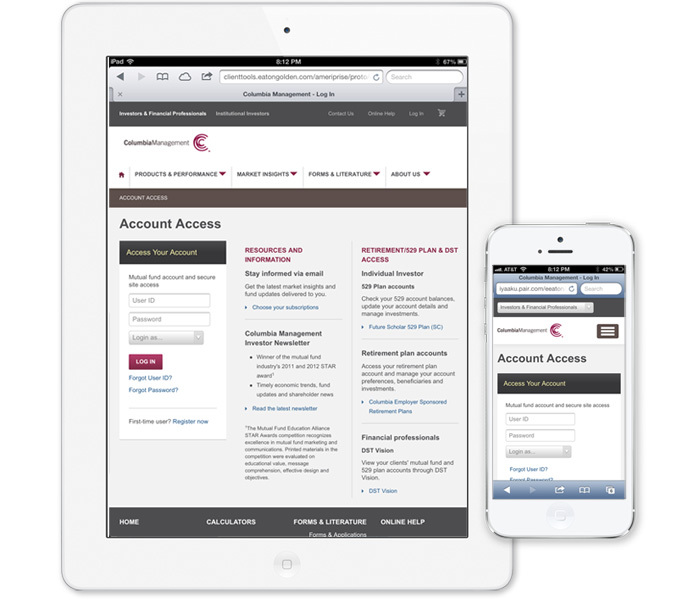 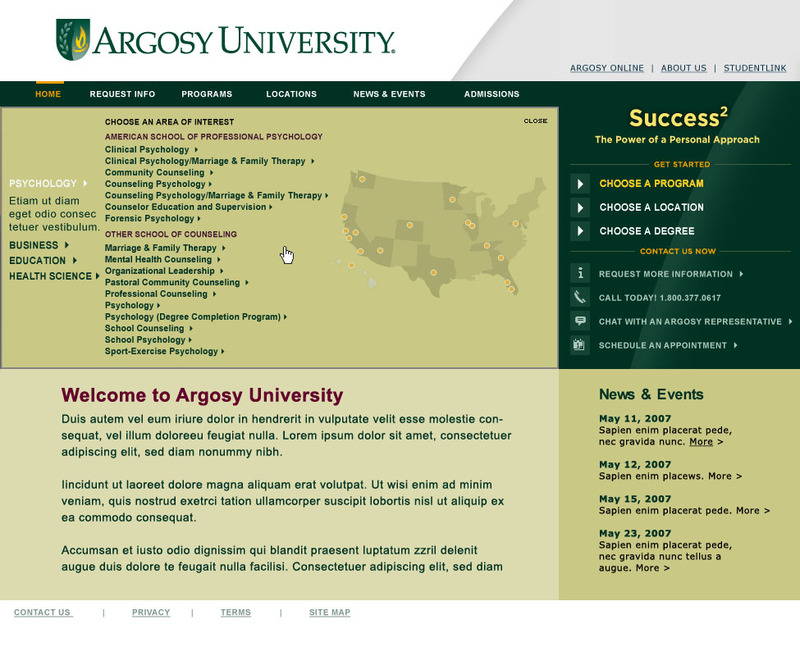 It was optimized for the iPad, based on audience metrics, and had extensive usability testing. 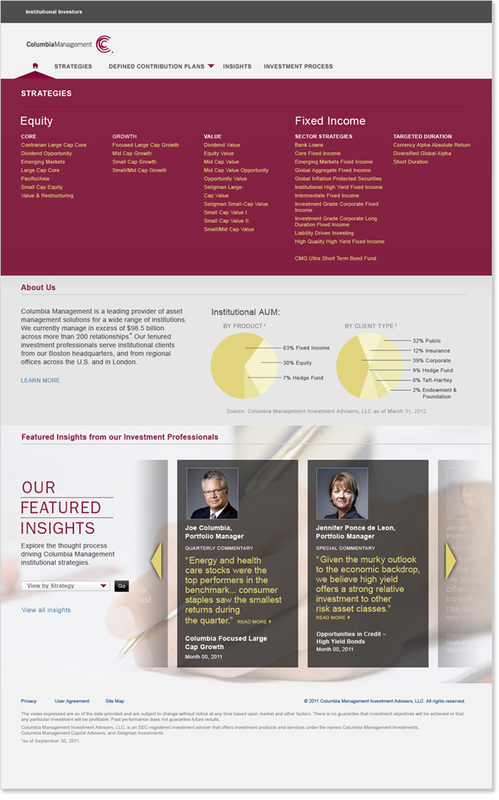 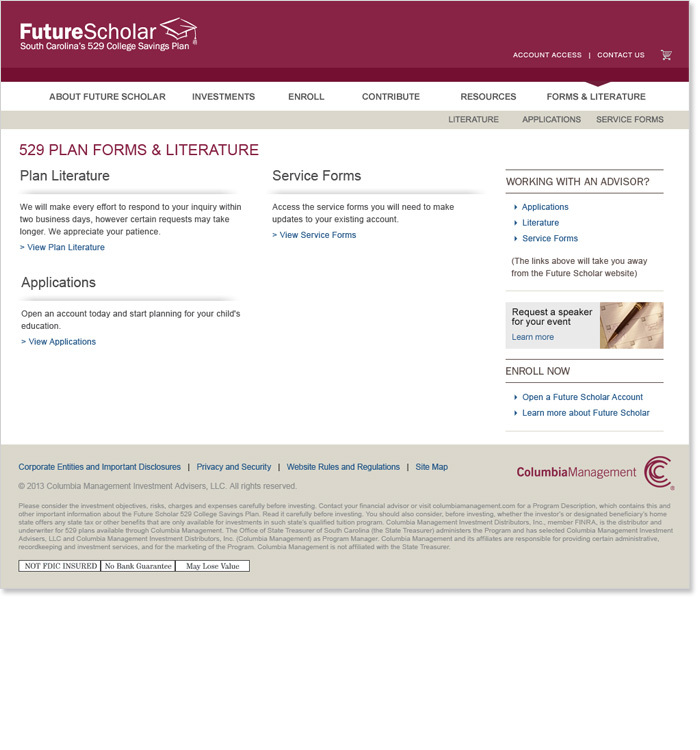 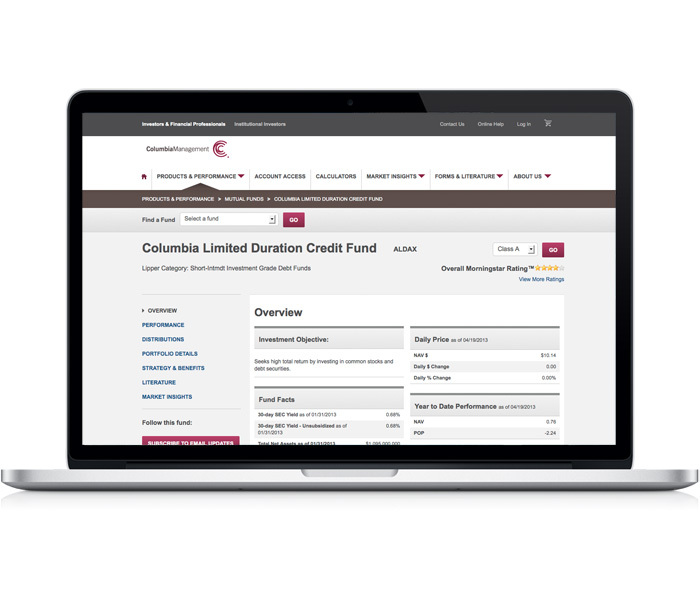 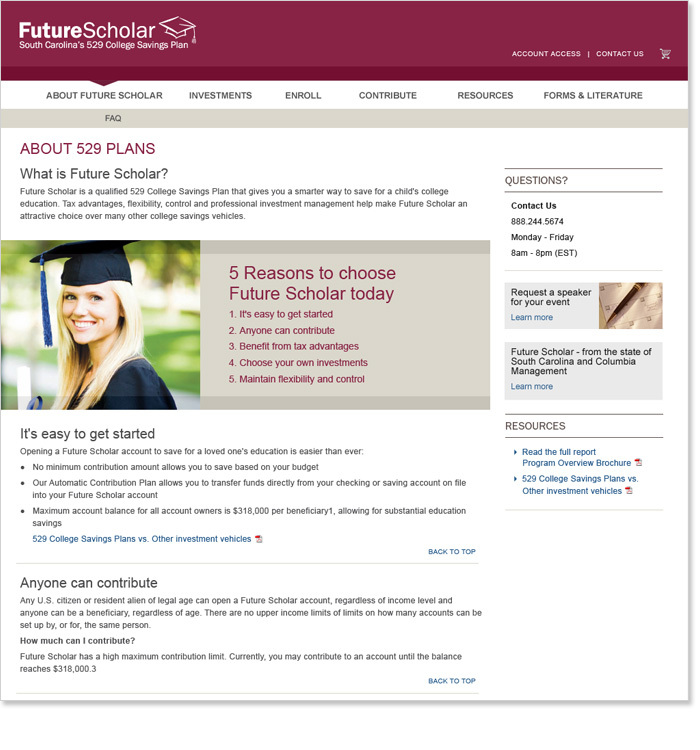 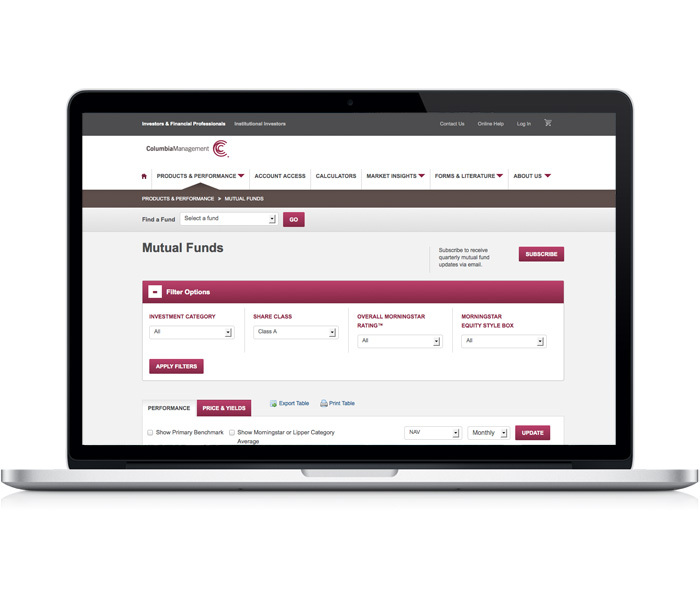 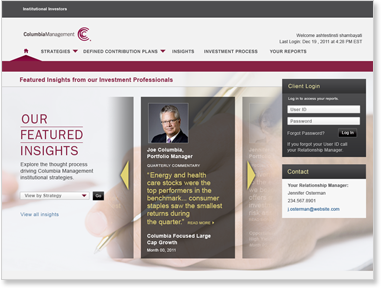 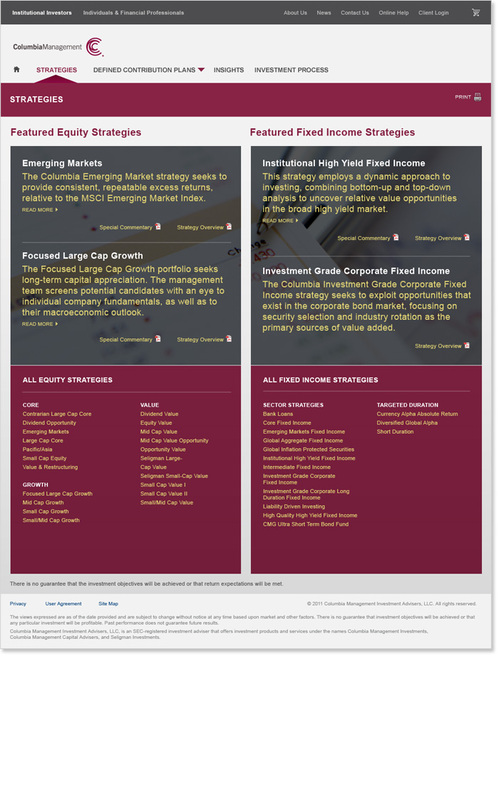 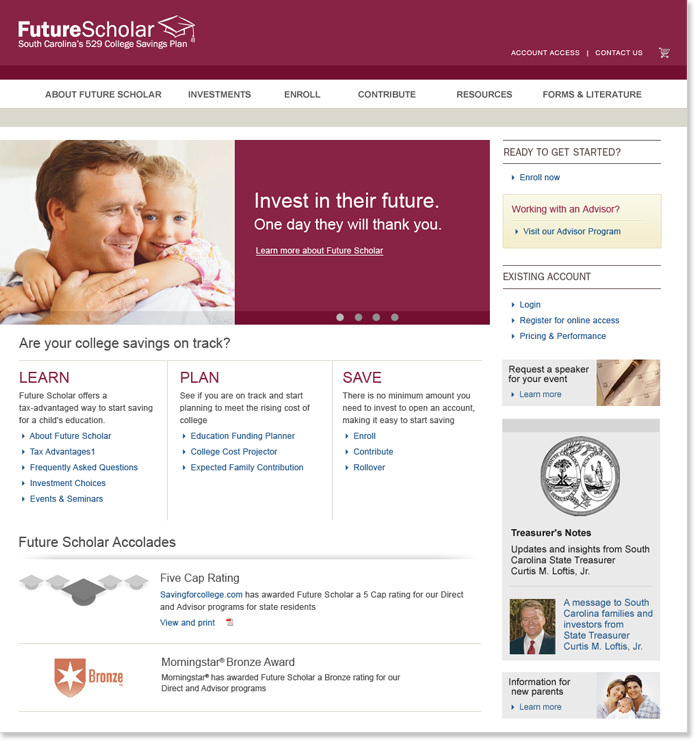 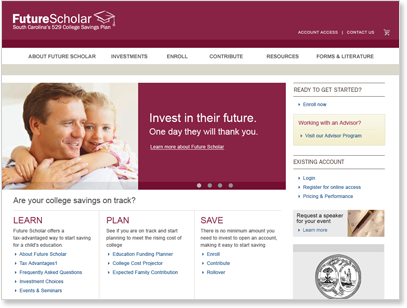 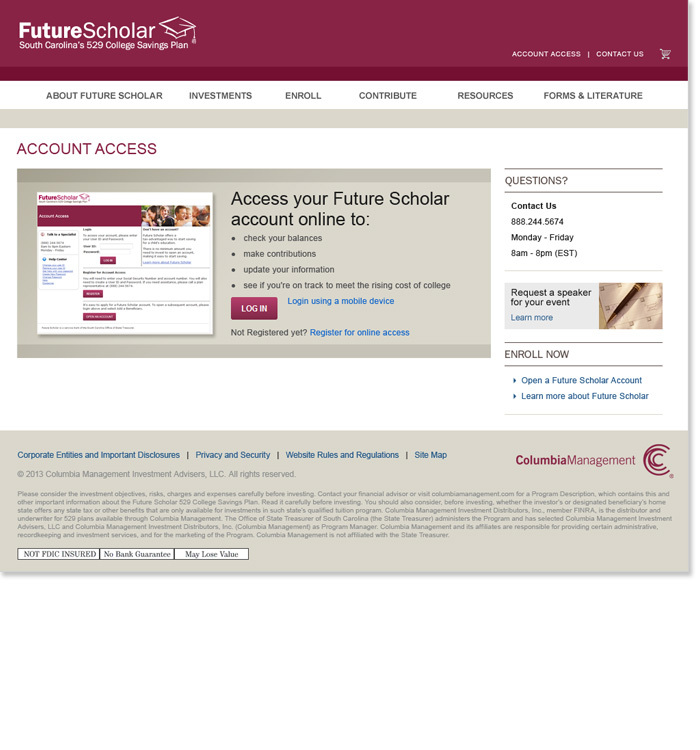 Rounding out the Columbia Management Brand properties, the Future Scholar site is geared toward the 529 category of investments for college savings. 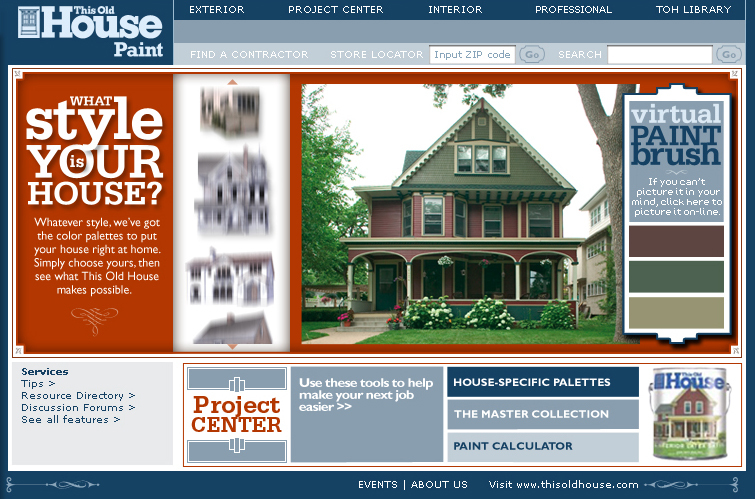 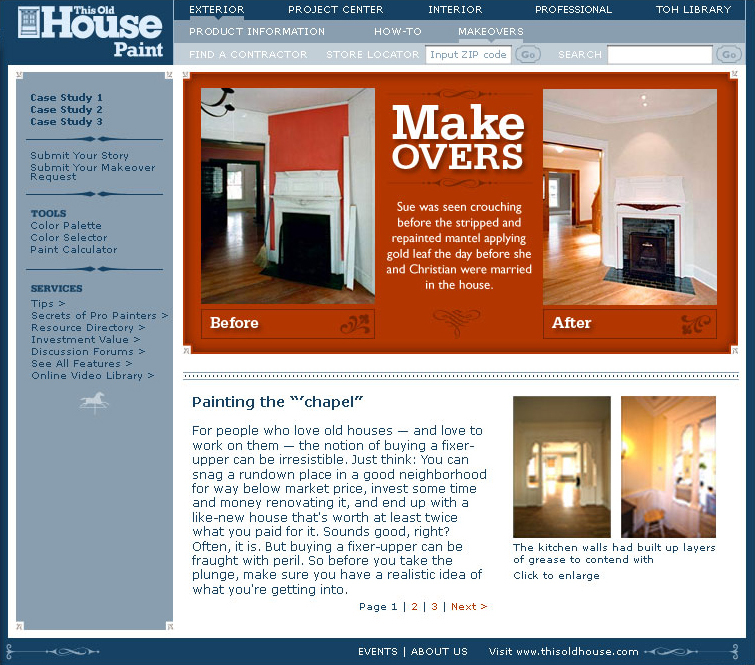 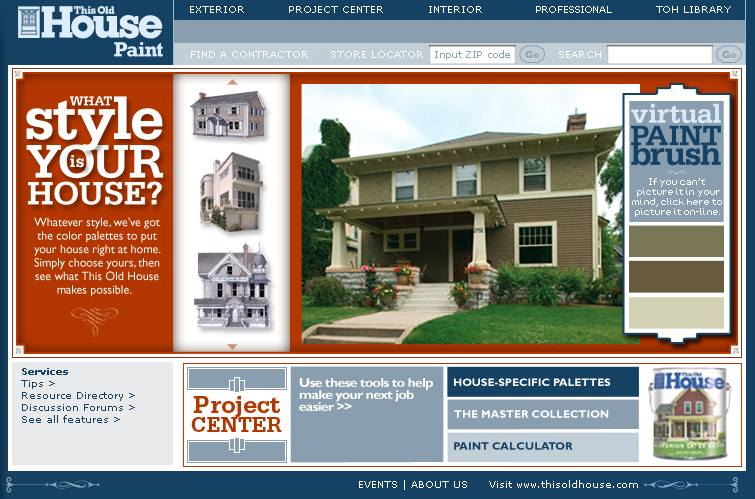 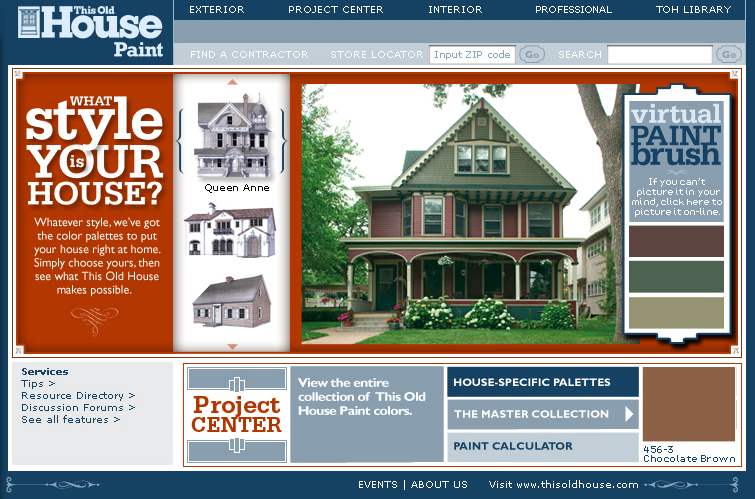 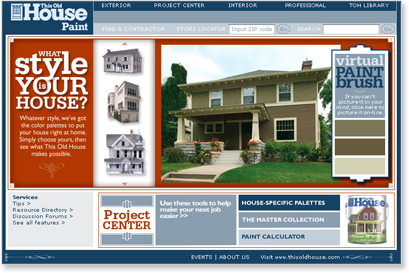 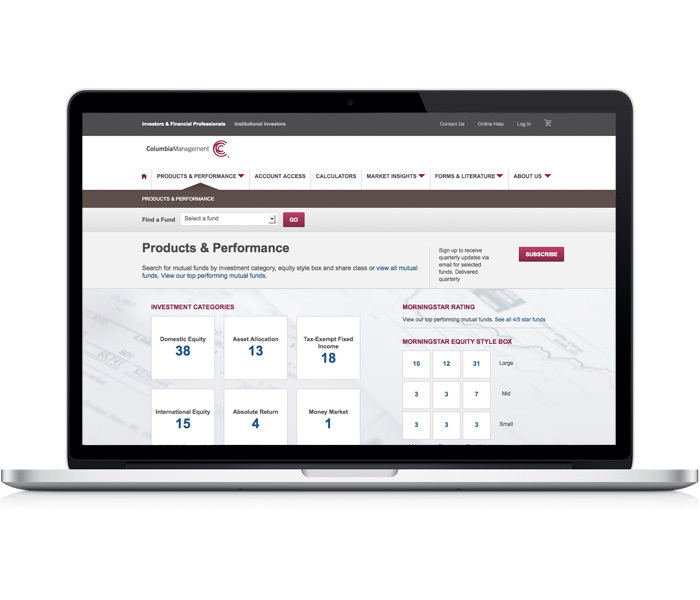 Working with Martin Williams, I was engaged to create the UX and UI design for a configurator experience to help customers visualize paint schemes by choosing a style of home and applying their color choices.